Elk and rhinoceros beetles aren’t diabetic, but to grow big horns and attract mates it appears that the males are insulin-dependent. 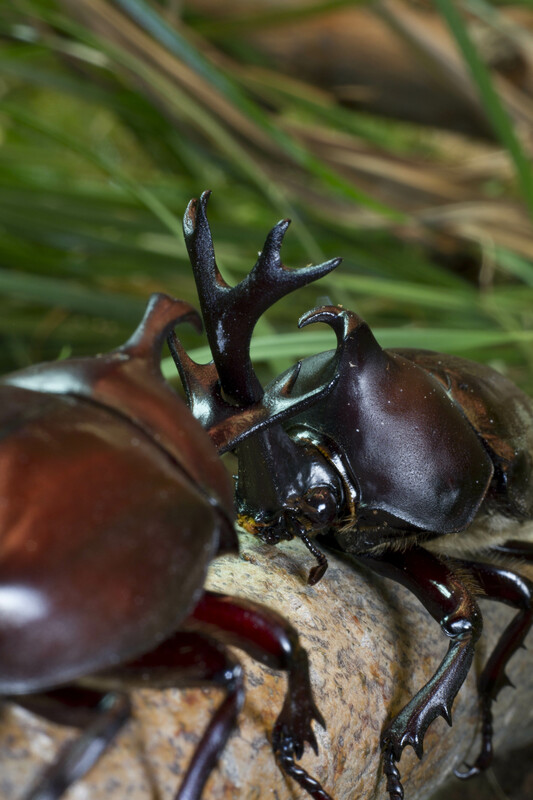 Ian Dworkin, Michigan State University zoologist, was part of a team that for the first time ever showed why horns – from elk to rhinoceros beetles – and other decorative, mate-attracting structures are sensitive to changes in nutrition. As reported in the current issue of Science, the key ingredient for this growth is insulin, Dworkin said. Sexual selection has roots back to Darwin’s research. Subsequent research revealed the so-called “handicap principle,” which labeled the males as burdened for toting such unwieldy baggage. Dworkin’s team, however, believes that when insulin-dependence is part of the picture, the showy males are not in fact handicapped. Instead this insulin-dependence of these big horns provides a way for the males to show how great they are. “It’s a sign that these males are thriving, made of some pretty sturdy stuff and certainly mate-worthy,” said Dworkin, who conducted the research at BEACON, MSU’s National Science Foundation Center for the Study of Evolution in Action. “While more work needs to be done, our results provide and important way of linking genetic mechanism with the ultimate evolutionary reason for the trait exaggeration,” Dworkin said. Original MSU press release is here. The paper in Science can be accessed here.